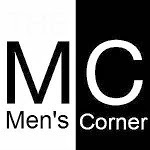 Men's Corner: Al Bundy is the king of all kings, and his quips are the best in the world! Al Bundy is the king of all kings, and his quips are the best in the world! If one is the seducer who has experience in the seduction of women, if someone has an irresistible male "charm" that all women just fall, then that is Al Bundy. From him you definitely need to learn how to behave in the company of women and how to apply the techniques of seduction. See video, laugh and think. And you could be the Bundy one day! Joking aside, bow to the King!